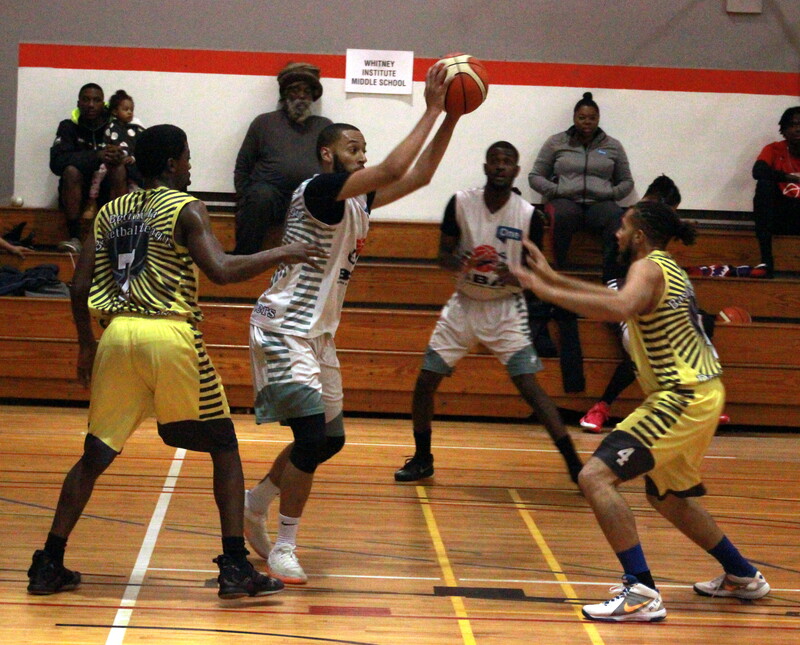 A total of 194 points were scored in the latest round of the Bermuda Basketball League sponsored by ONE Communications, which took place inside the Bermuda College Gymnasium. In the opener the Southampton Wolfpack defeated the Smith's Court Kings 50 – 47, Jason Lowe led the Southampton Wolfpack with a double-double 14 Points, 10 Rebounds and 2 Assists, while Christian Fiddick scored 12 Points for the Smith’s Court Kings, he would also add 4 Rebounds, 1 Assist, 1 Steal and 1 Blocked Shot. In Game 2 the Hamilton City Twisters defeated the Pembroke Skyforce 51 – 46, Darae Smith would score a game high 20 Points for the Hamilton City Twisters, he would add 8 Rebounds, 1 Assist, 1 Steal and 2 Blocked Shots, while Yusef Riley had 10 points for the Hamilton City Twisters, he would grab 18 Rebounds, 5 Assists, 3 Steals and 2 Blocked Shots. Gershon Kurt would score 15 Points for the Pembroke Skyforce, he would also grab 16 Rebounds, 1 Assist, 1 Steal and 3 Block Shots.